Get inspired by this game’s cool take on your fairy tale favorites. 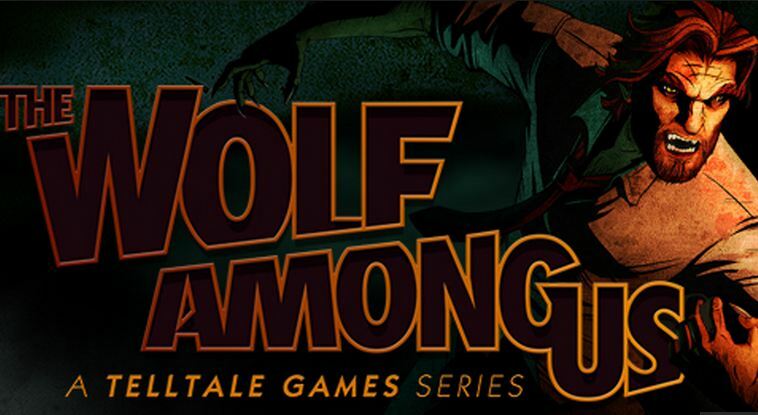 In 2013, Telltale Games shocked us all with The Wolf Among Us. In case you haven’t heard of it, it’s an episodic adventure game based off of the hit Fable comic books. A must-play for any fairytale fan, it features characters like The Big Bad Wolf and Snow White who live in the town known to us as Manhattan and to them as Fabletown. 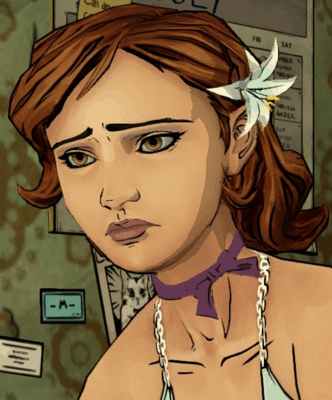 So, for this week’s Video Game Fashion article, we’ll be tackling the looks of some of Fabletown’s best. 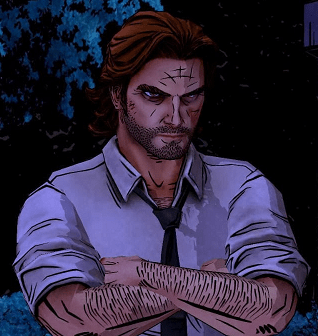 Bigby Wolf, formerly known as The Big Bad Wolf, is the sheriff of Fabletown. He looms large and in charge over all of its citizens, most of whom are completely terrified of him. However, underneath his hardened exterior is a man with a huge heart. Typically, Bigby’s look is very simple and all business, consisting of dress pants, dress shoes, a tie, and a button-up shirt. However, we’ve ditched all of that for a shirtdress, tights, and combat boots combo that is perfect for both light office work and stomping around crime scenes when duty calls. Just accessorize with cool glasses to hide that intimidating glare and a shoulder bag perfect for the crimefighter on the go. Plus, what great detective can go without their classic trench coat? Snow White is Fabletown’s female force and in this adaptation of her tale, she’s not waiting for any princes or dwarves to help her out. Not only is she assistant to the town’s mayor, Ichabod Crane, she’s also the Director of Operations and a close friend to Bigby Wolf. She often aids in his investigations, to boot. Like Bigby, Snow White’s outfit is simple and all business with a tan skirt and jacket combo, earrings, and a blue button-up. Here, I’ve swapped the polished skirt and shirt for khaki pants and a light chambray button up. This creates a more casual look. Next, I added a pair of snowflake earrings because…Hello, Snow White! And just because Snow White seems to be all business doesn’t mean she can’t have a little fun in the shoe department: How cute are these peep-toe sandals? Only known by her first name, Nerissa (AKA The Little Mermaid, which one could deduce by her red locks and starfish hair accessory) is now a dancer at a club called the Pudding & Pie. 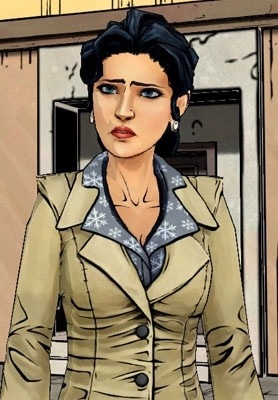 Without providing spoilers, Nerissa, though a minor character, drives the plot of the game with her sweet yet spunky and secretive attitude, lending Bigby a hand when needed. Since she works in a club, Nerissa’s style is obviously more fun than Bigby’s or Snow White’s. For her look, I layered a sheer mermaid sleeve dress over a trendy white slip dress. To channel her purple neck accessory, I chose a simple purple choker, alongside a black starfish choker. (It’s all about chokers this season!) And lastly, for shoes, I chose a bright green heel for a pop of color reminiscent of Disney Ariel’s bright green fins. How did you like The Wolf Among Us? Are you as excited as I for any kind of update on the sequel? Did you like the outfits? What should I do next? Let me know in the comments.